Need a new idea besides turkey soup or enchiladas for your turkey dinner leftovers? Try this quick and easy recipe that's just as good as your original meal. This is less than a recipe and more of a methodology (ps sorry for the quality of the pics; lighting was not great). First, grease a 13x9 pan (if you have less leftovers, use an 8x8). Add about 2-3 cups of cooked turkey; chop or shred with your hands. I added some sauteed onions and celery which was extra from the stuffing. Next, add about 1 1/4 cups of warm gravy; this makes it easier to spread. 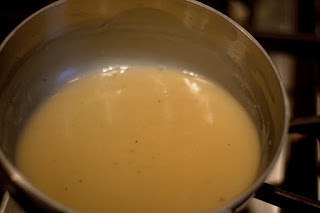 If you are out of gravy, you can use this recipe for my gluten-free gravy or anything you like. If you have stuffing, add 2 cups on top of the gravy-turkey mixture and then place peas and corn on top (about 1 or 1 1/2 cups of each). After that, top with mashed potatoes. We had 2 containers! Bake in a 350F oven for 35-45 minutes or until the gravy is bubbling up. Scoop and serve. We loved it and served it with a little bit of cranberry sauce. Yes, we had that leftover as well. The stuffing added a new dimension. Not that you can tell, but the dish was all gluten-free, including the stuffing. You could use whatever you have at home. Hopefully, this will be the end of the leftovers! I hope you enjoy it. If you can't tolerate corn, try arrowroot, tapioca or potato starch. Make sure the gravy is seasoned well with herbs, spices and...salt (again, assuming you can tolerate). To give it the creaminess and texture you might miss with a regular gravy, add 1 Tablespoon of unsalted butter at the end. You can also try cream or a plain unsweetened milk, like coconut (it has a thicker texture than rice). 1. Heat broth in a small to medium sized pot. 2. Meanwhile, make the slurry in a small bowl. 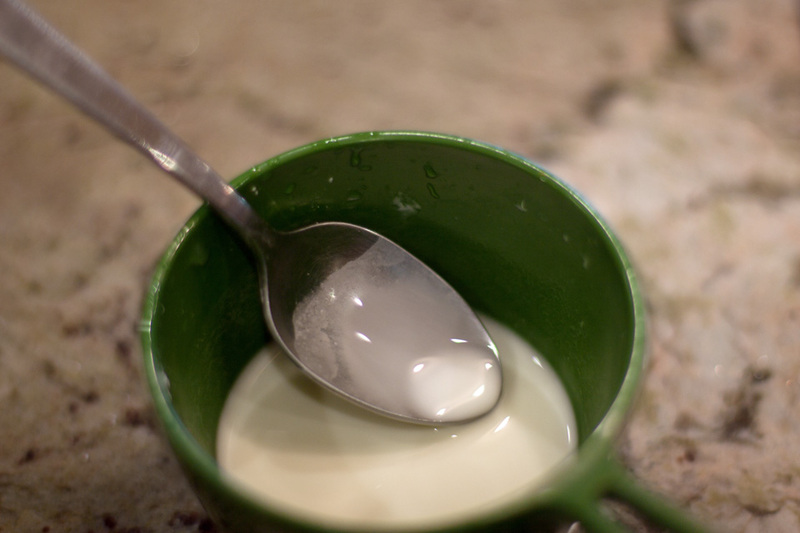 Mix until smooth and the slurry looks like whole milk (see photo above). 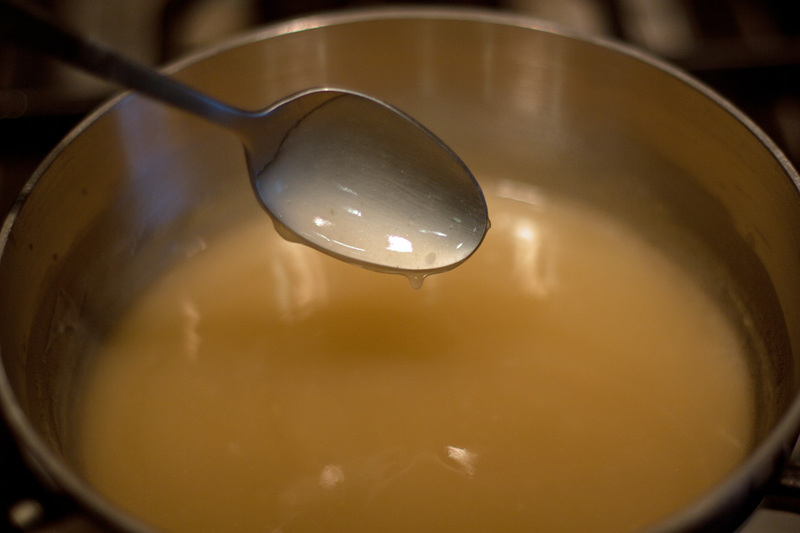 Make sure to mix the slurry right before adding it to the broth. 3. Once broth is simmering, whisk in slurry and season with salt and pepper. 4. Cook 4-6 minutes or until thickened. If the sauce is not thick enough, add more slurry if necessary. 5. Make sure the sauce does not have a starchy texture. The way to tell is to taste it. If there is a gritty texture, the sauce needs to cook more. 6. Add sage at the end. 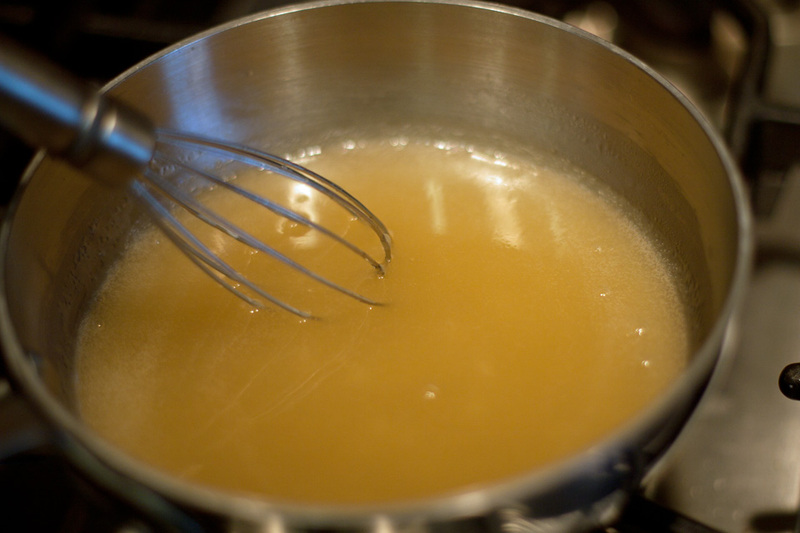 Optionally add 1 tablespoon of butter to make the sauce more creamy and similar to a roux-thickened sauce. Taste and adjust seasonings. If it tastes "flat", add more salt, 1/8 teaspoon at a time. For variations, add the following ingredients to the sauce when the broth is added. You may need to add more slurry to achieve the proper thickness. • Lemon and Garlic: Add 1 teaspoon lemon juice and 1 minced garlic clove to a chicken or vegetable based broth. • Wine and Herb: Add 2 tablespoons of dry white wine and 1 teaspoon of dried herbs to the broth. • Mustard: Whisk in 1-2 teaspoons dijon or grainy mustard into the sauce as it thickens. • Creamy: Add 1 Tablespoon cream to any of the above sauces.